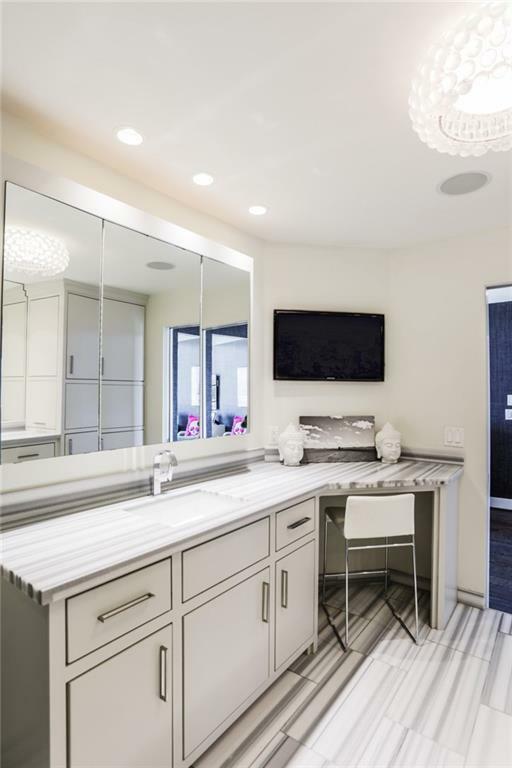 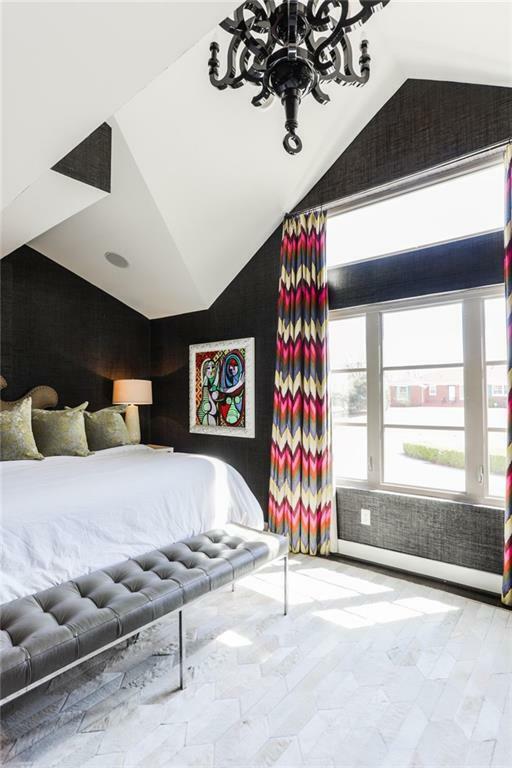 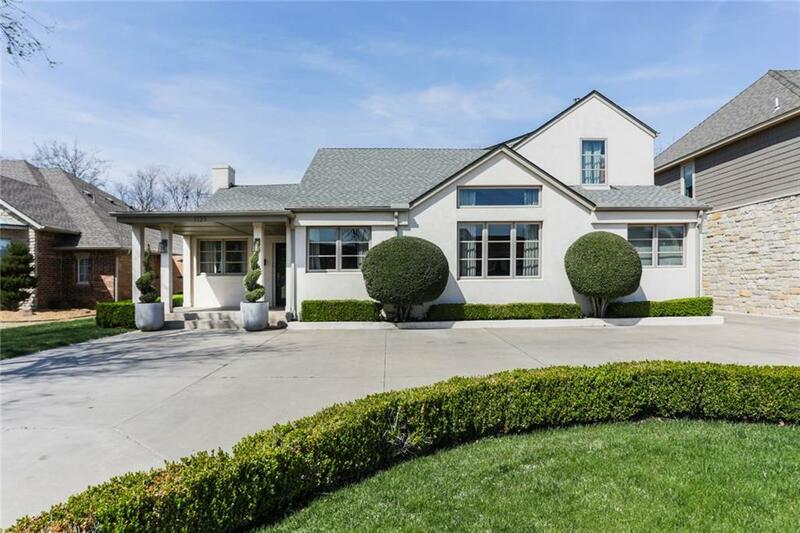 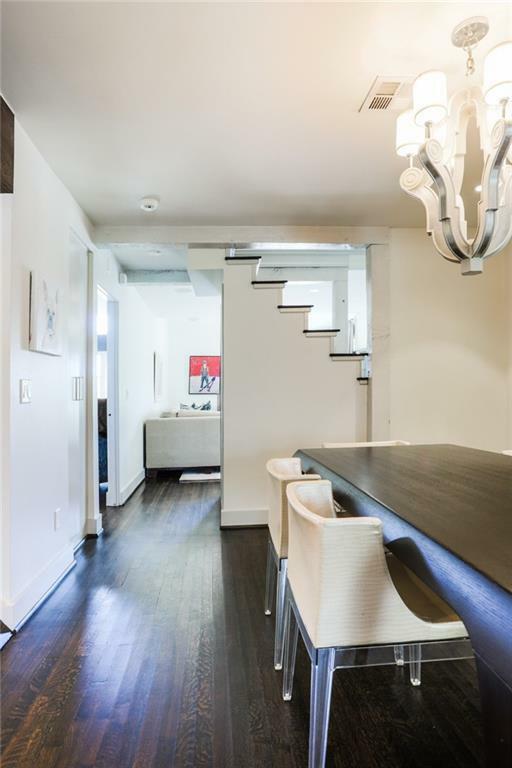 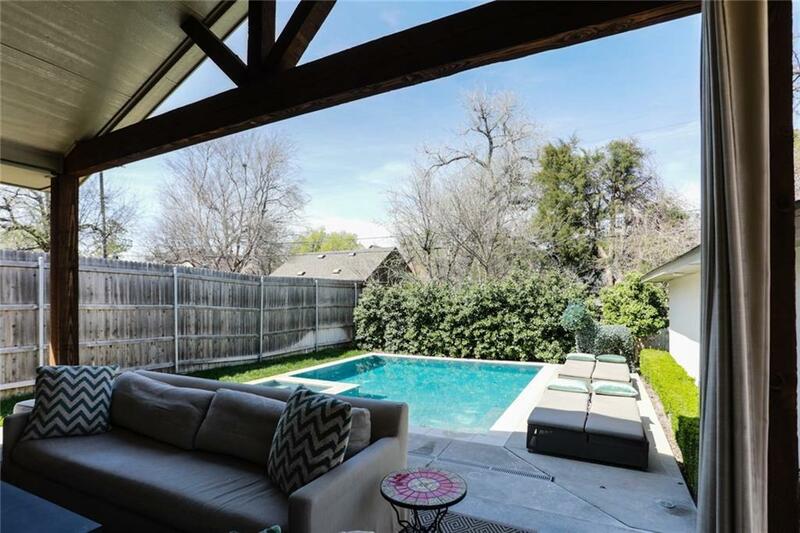 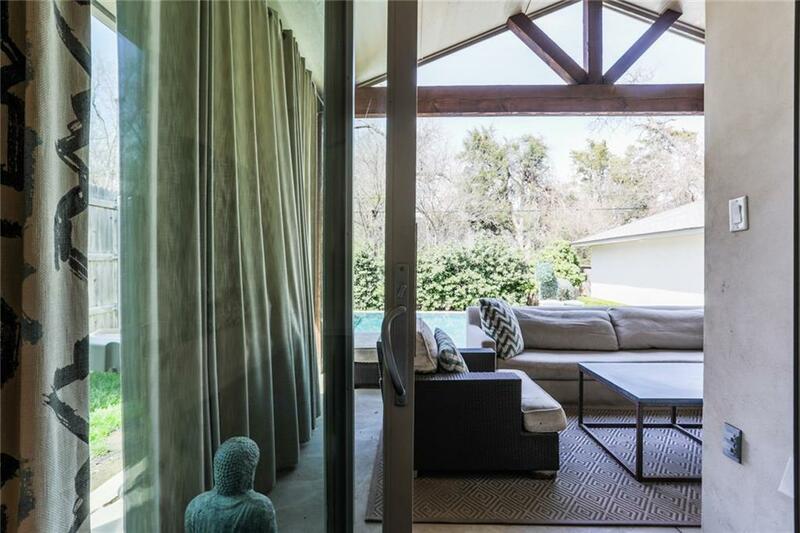 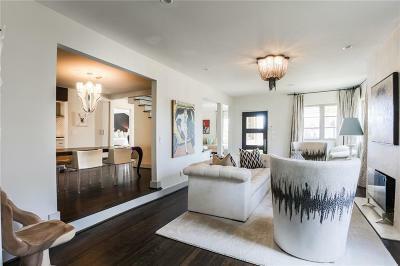 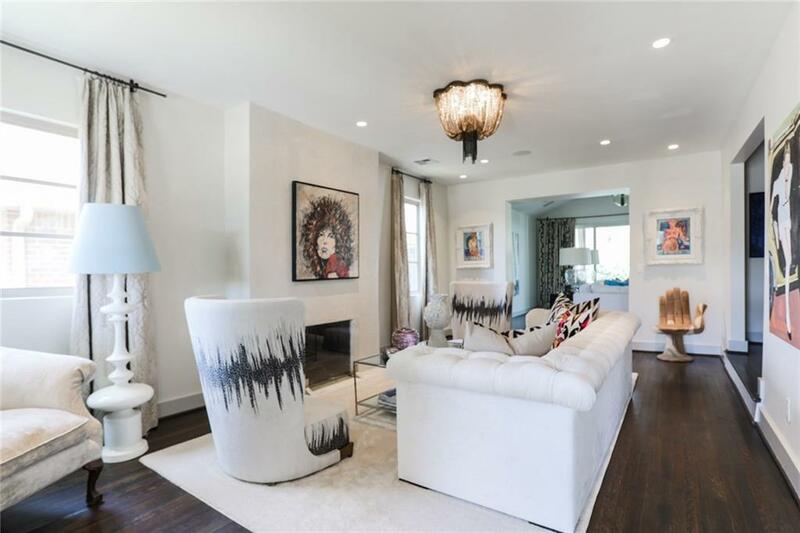 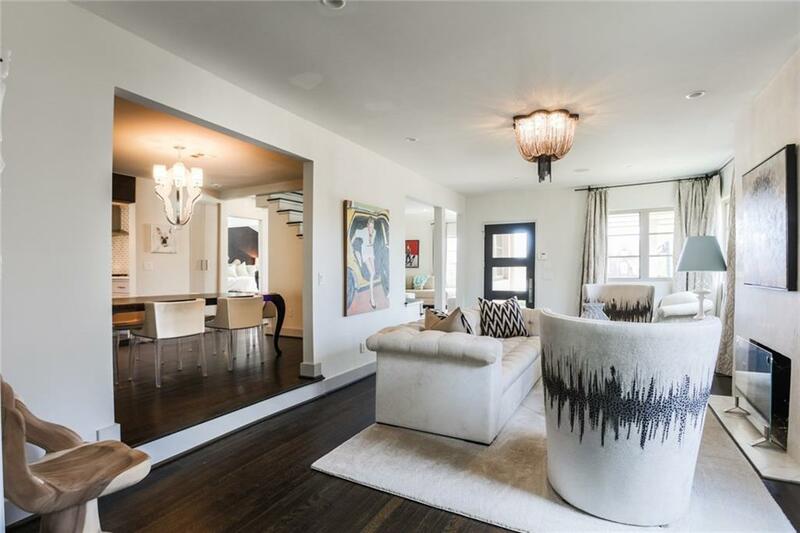 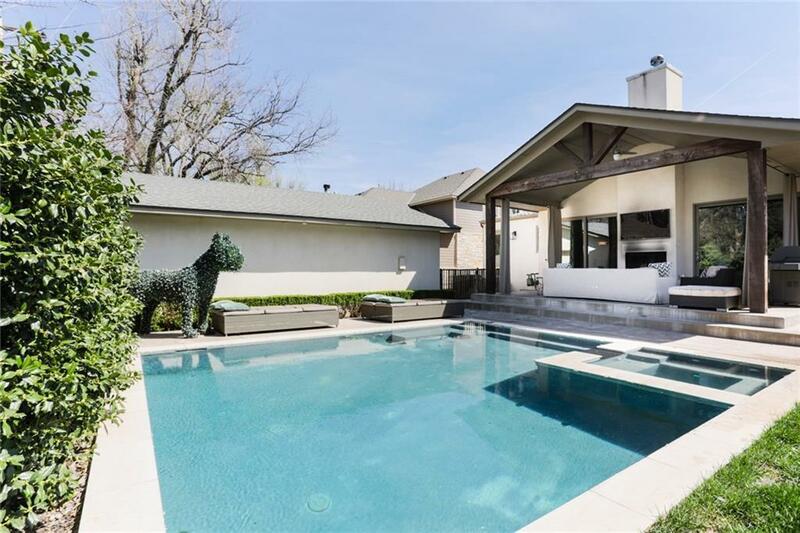 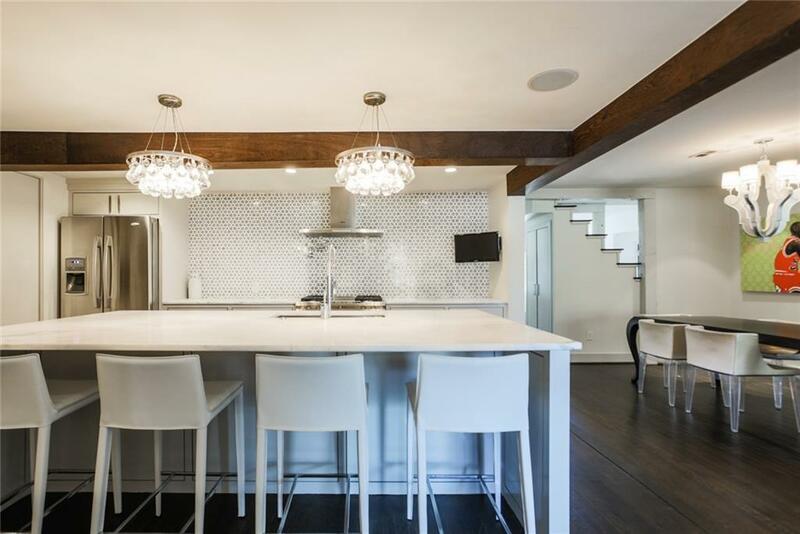 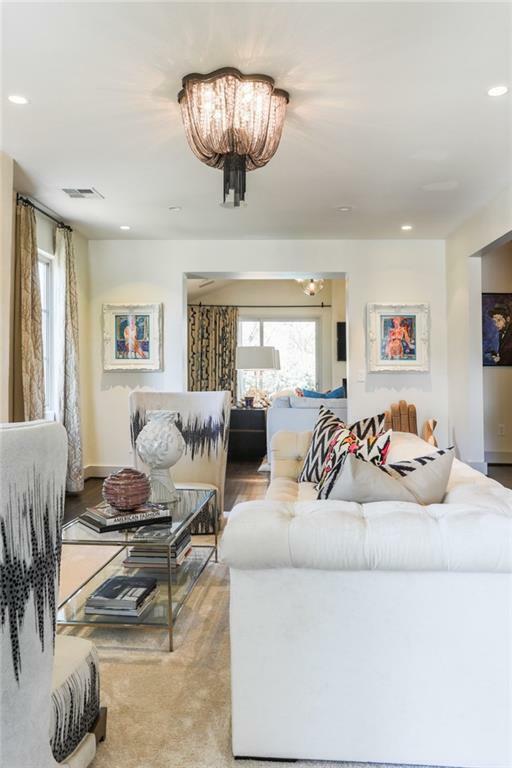 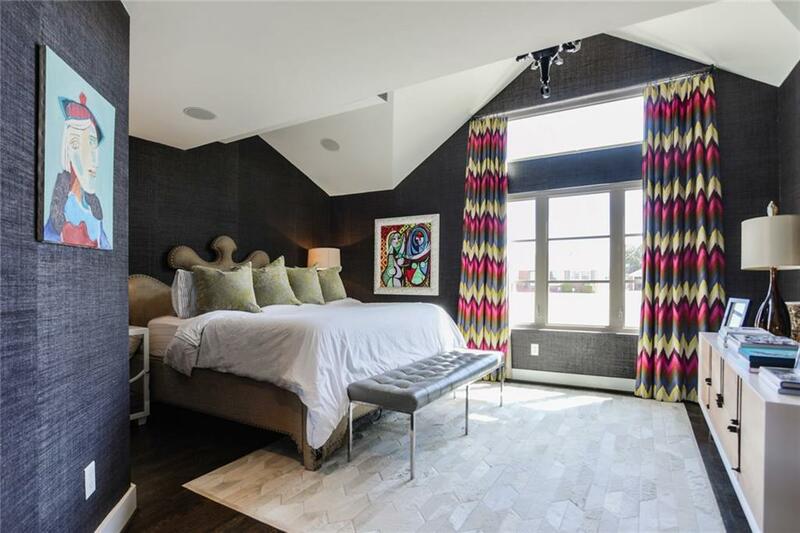 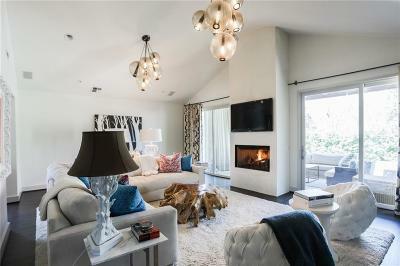 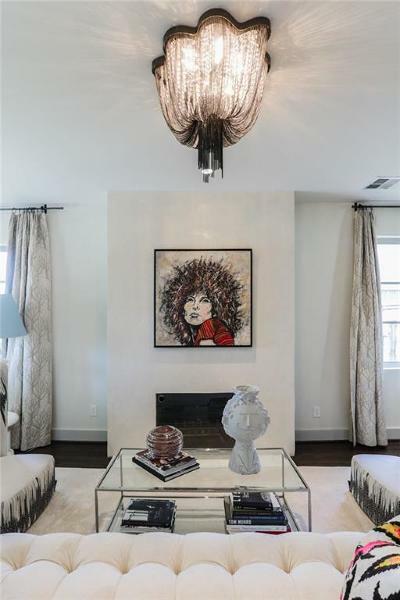 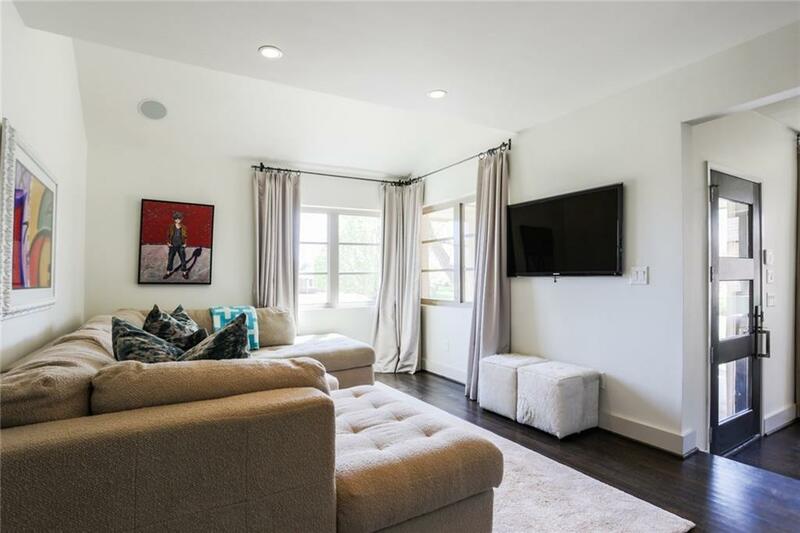 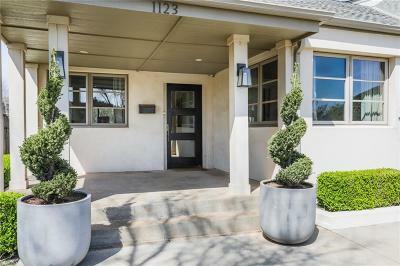 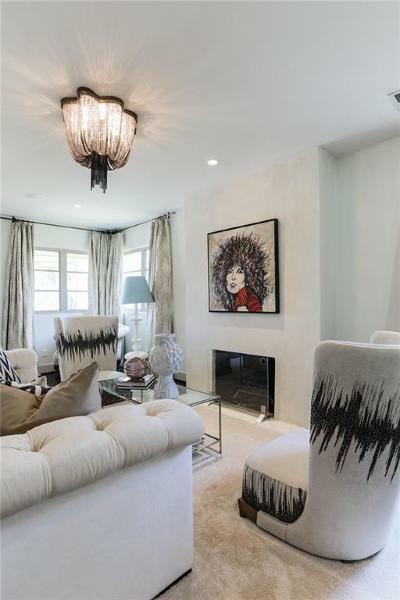 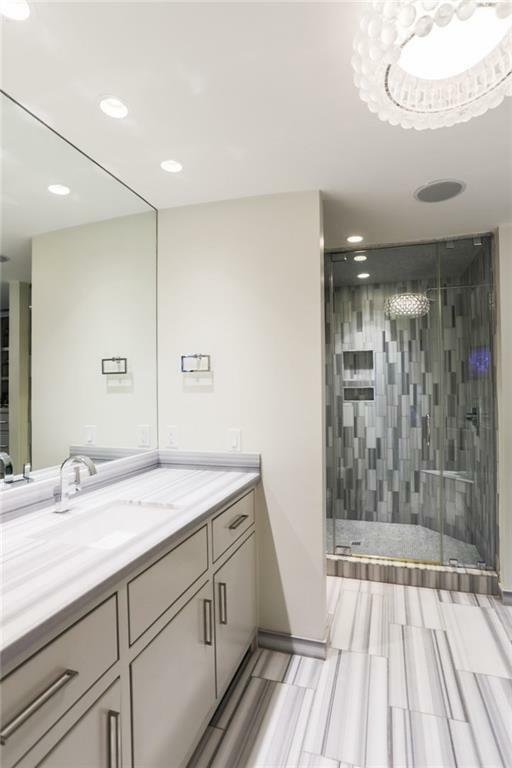 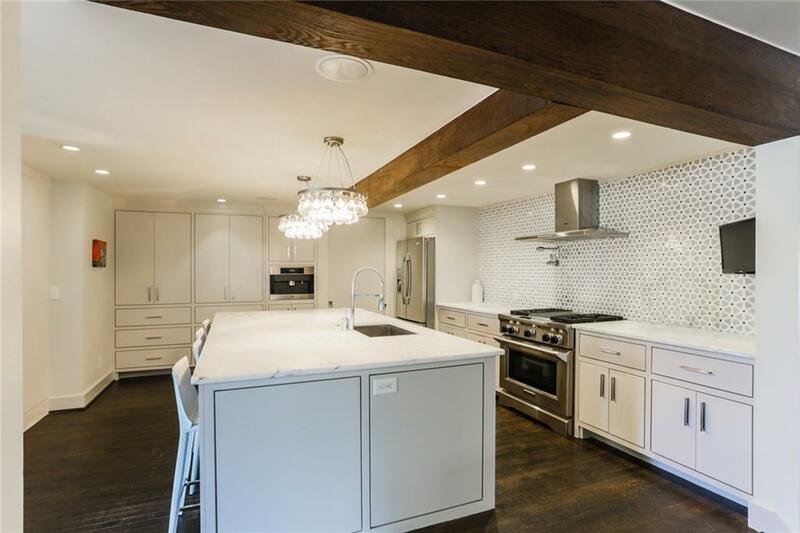 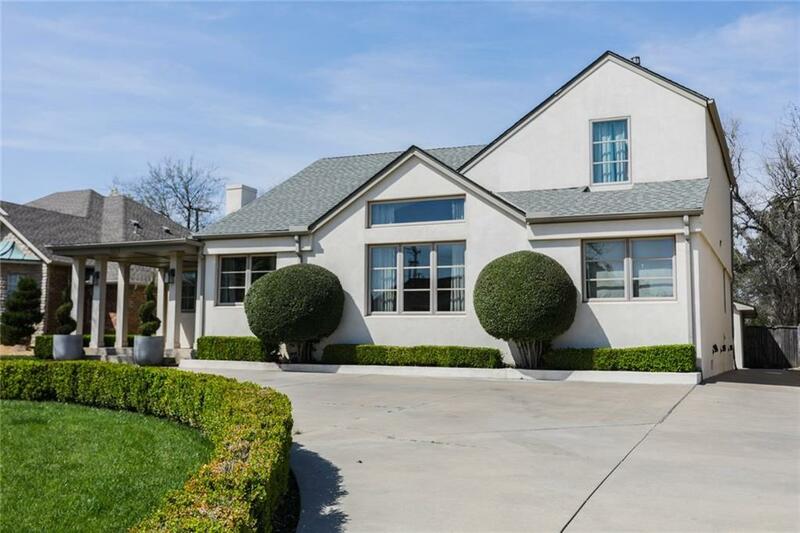 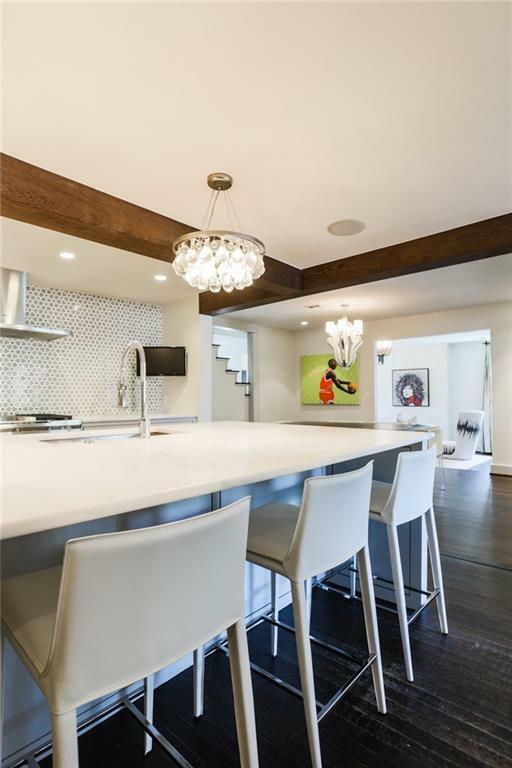 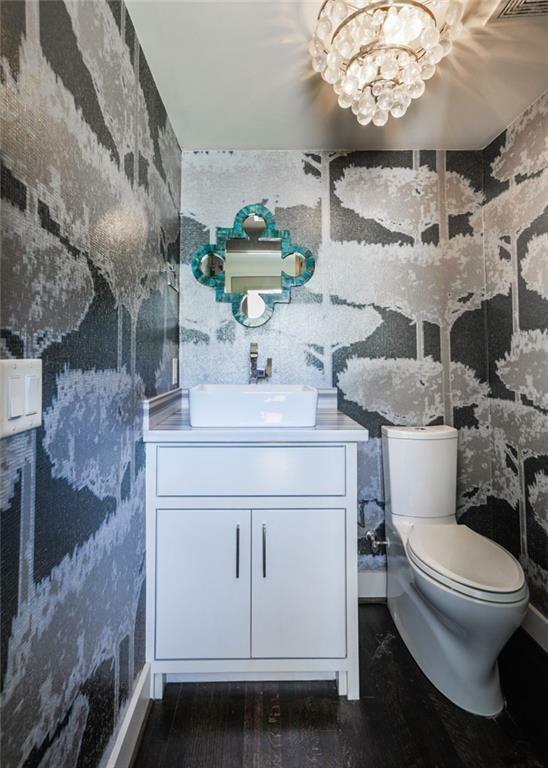 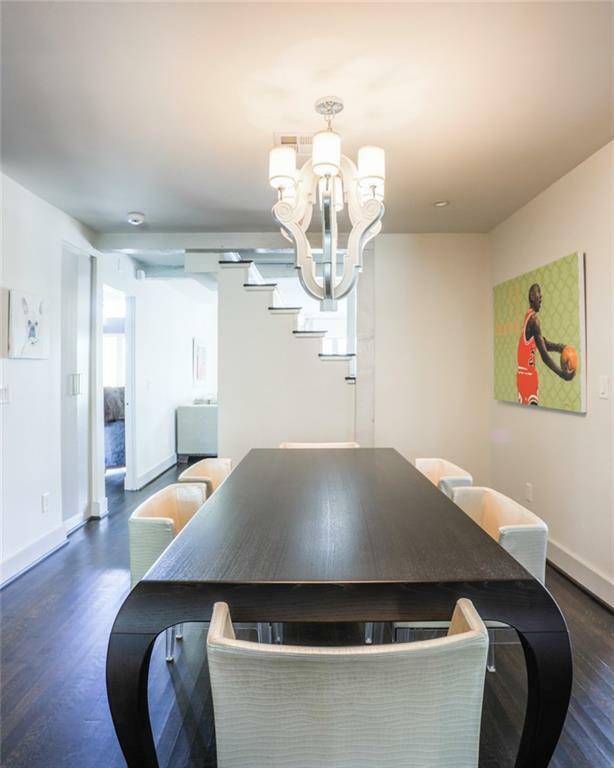 Meticulously designed modern bungalow in the heart of downtown Nichols Hills. 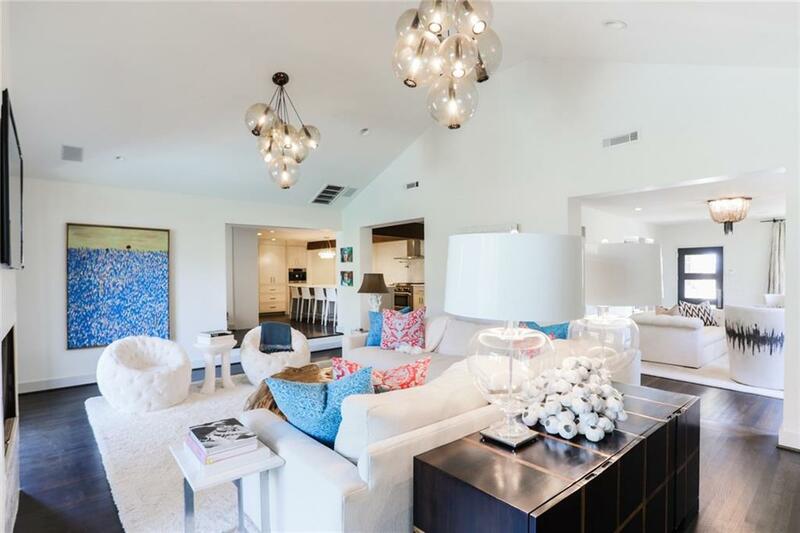 Classically elegant, this interior designerâs personal home is ideal for entertaining with three living spaces connecting to the open kitchen. Stepping in the high level of design is apparent from the ultra-lux finishes to the Venetian plaster fireplaces. 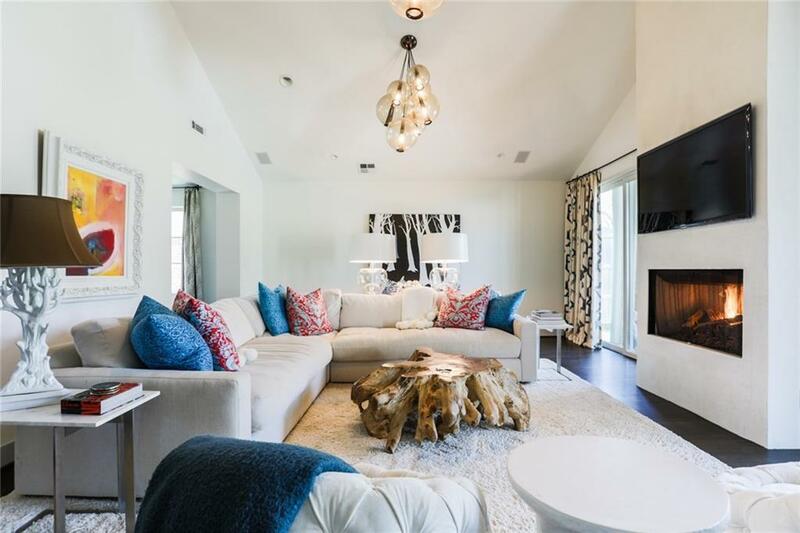 The main living area is vast with double-height ceilings and stunning floor to ceiling fireplace connecting to the covered patio with an outdoor fireplace, gas grill, and a heated swimming pool and spa. 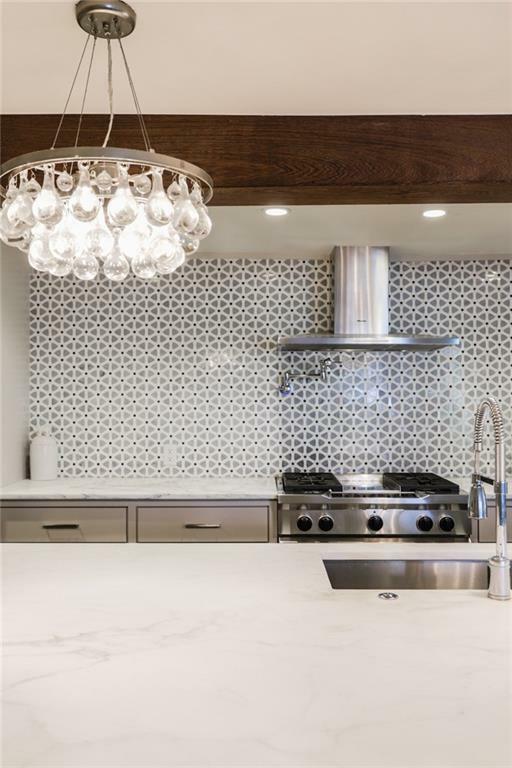 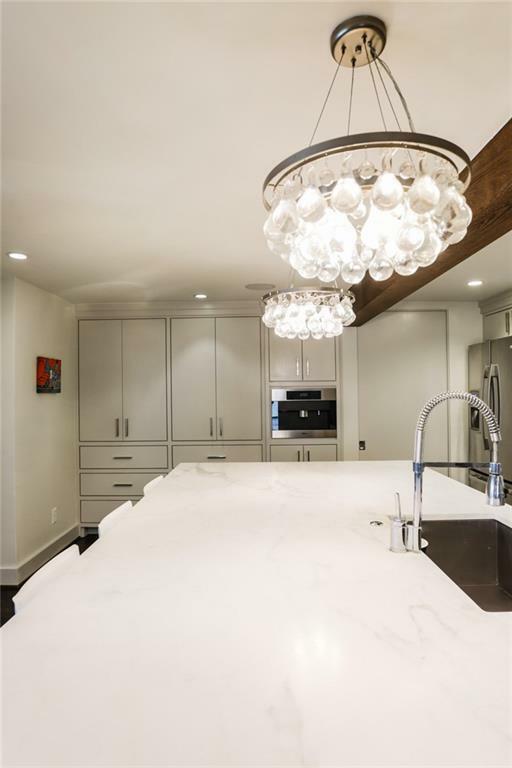 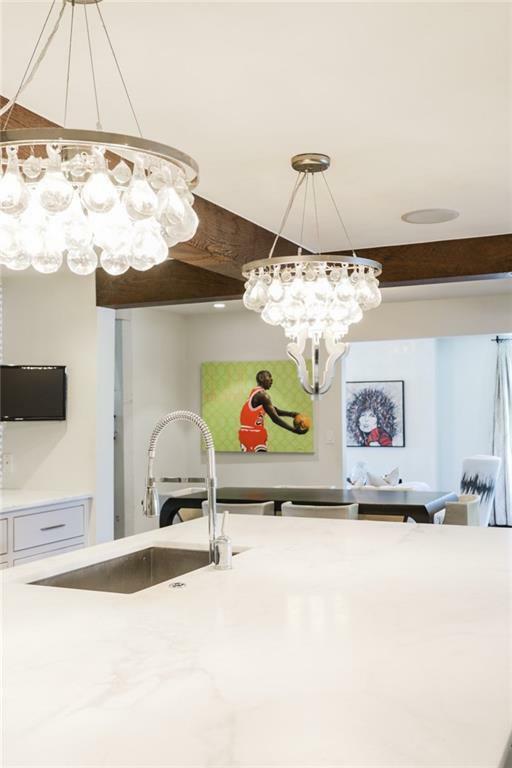 The sociable eat-in kitchen features designer backsplash, a built-in Miele coffee machine, and grand island with stunning glass chandeliers above. 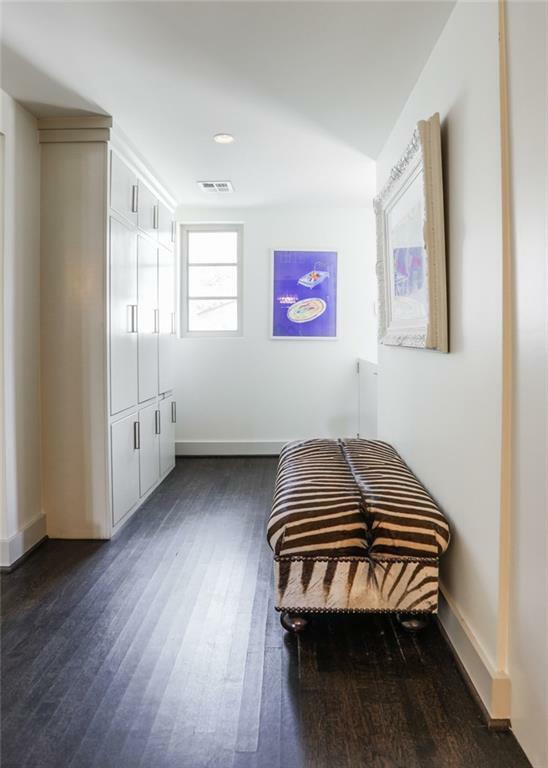 Just off the kitchen lies a large pantry and laundry room, built-in coat closet, and powder bath. 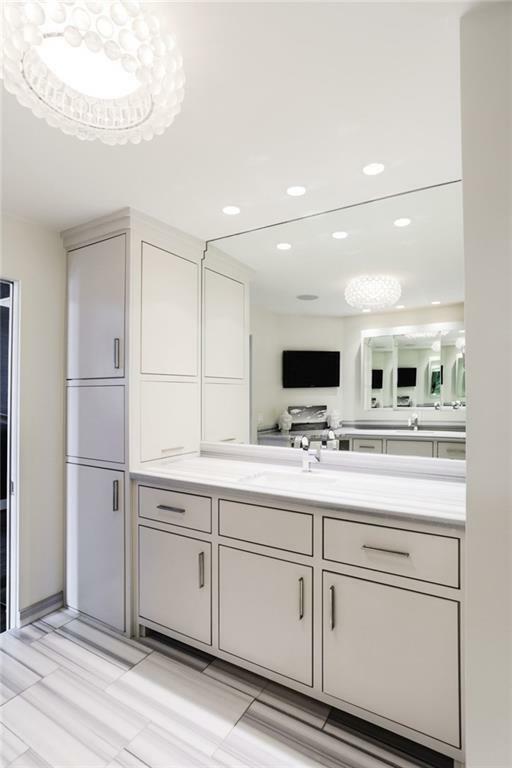 The master suite is sizeable with a generous ensuite bathroom with double vanities, walk-in shower with dual shower heads, and walk-in closet. 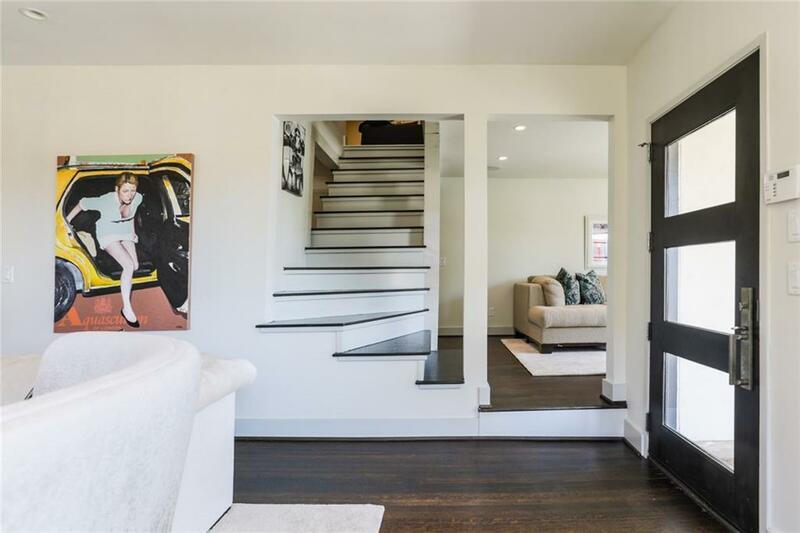 On the second floor lies a fourth living area, two bedrooms, and full bath.